How can you decorate your home to make it look as special as you? If this is the question that is bothering you at the moment then we have some very special tips for you. What’s more? You will be able to implement most of these ideas without a major stress on your budget or too much hassle. 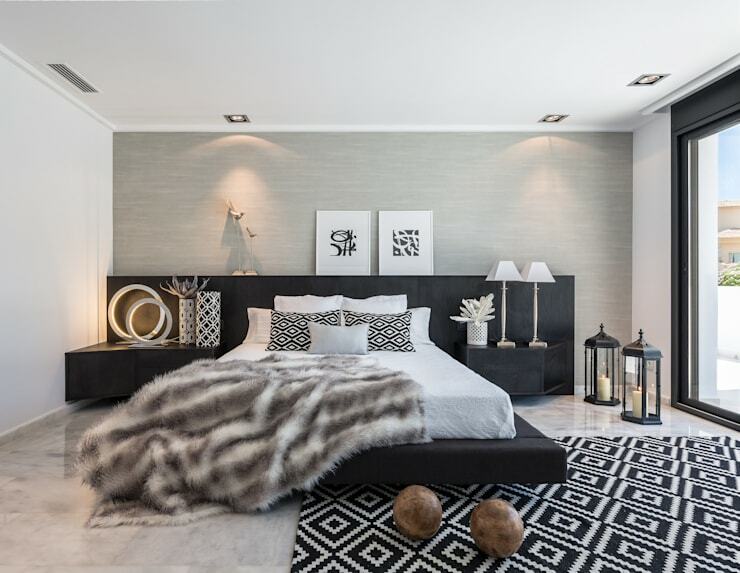 Home decoration can be a really pleasurable activity, especially when you complete the project and see the beauty of the ambience around you or when you receive special complements for your efforts. Smart use of colours can immediately bring about a refreshing change in the ambience. Don’t fall for commonplace colour scheme. Think of something that has an element of surprise in it. Jazz up the feature walls in your living room, bedroom and dining area with the help of a different but complementary colour. For example, if you have chosen pale lavender to paint three sides of your living room, use dark mauve or pistachio to highlight the feature wall. A colour wheel will help you choose matching and complementary colours for any part of your building. You may also decorate the walls with textured wallpaper. Patterns help to break the monotony in the interiors decorated in contemporary fashion. Even when you are using a simple colour scheme dominated by grey, white and black, you can inject a lively feel with the use of patterns. Geometric or abstract patterns look best in a contemporary setting. Ornate motifs, especially in shimmering gold or silver, should be kept reserved for a classically decorated home. You can use upholstery fabric, rugs, throw blankets or wallpaper with interesting patterns in your rooms. 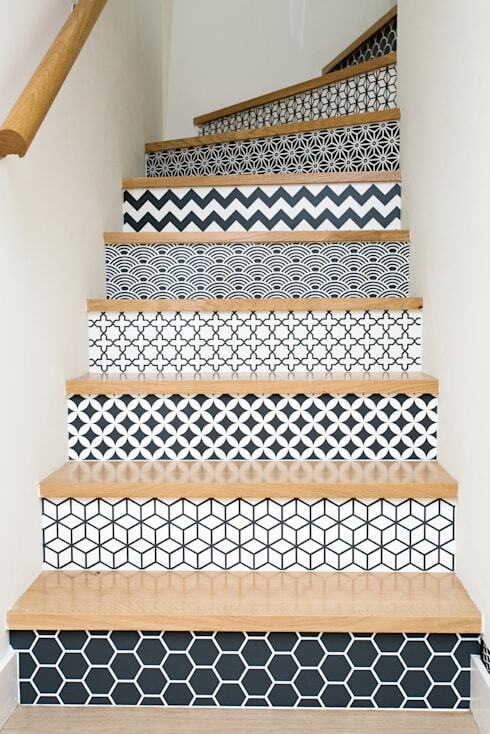 You can decorate the stairs in a variety of ways. You may paint each step of the stairway in different colour. Using patterns to decorate it like the way in the image above is another way of giving it a very chic look. You may install glass, metallic or wooden stair railing with interesting designs. Stair lighting fixture is another way of brightening this space and also giving it a refreshing look. For more ideas, you may have a talk with an experienced interior designer. Invest in a single piece of furniture that looks and feels interesting. It could be a stylish mid-century modern chair made famous by the likes of Charles and Ray Eames, Arne Jacobsen and Verner Panton. You may place this chair in a prominent place in your living room or dining area. A modish shelving system can also help you decorate a stylish home as well as resolve some of your storage related concerns. You may also buy a chic lighting fixture to add sparkle in the interiors. 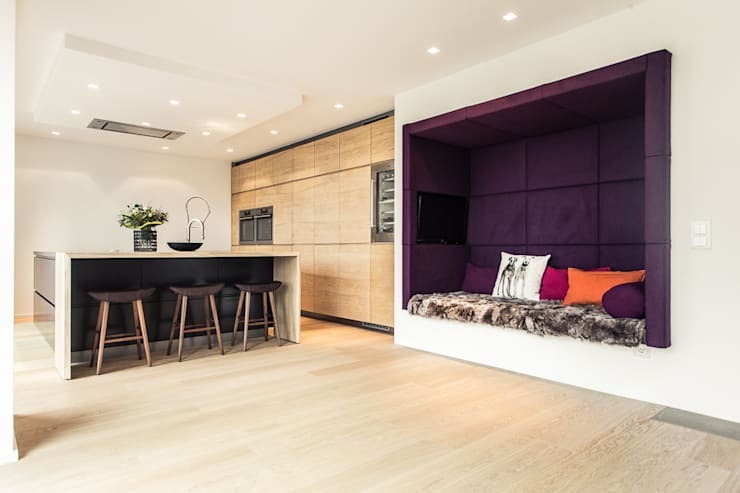 Clever use of the nooks and corners of your home can give it a very glamorous makeover. Build a cosy window seat to enjoy the view of the surrounding. Place a prominent sculpture or potted green plant in the corners of the hallway to give it an inviting look. Install corner brackets in the dining area and decorate it with beautiful table lamps. 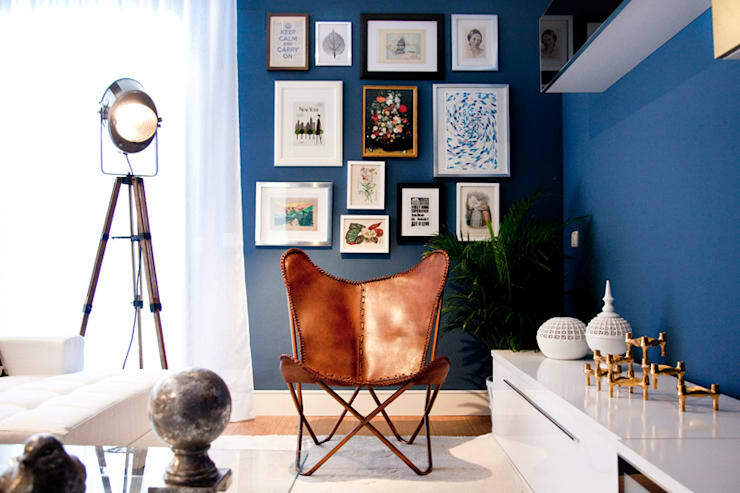 Find out some clever ways of decorating a small living room. You can decorate the walls of your home in many different ways. 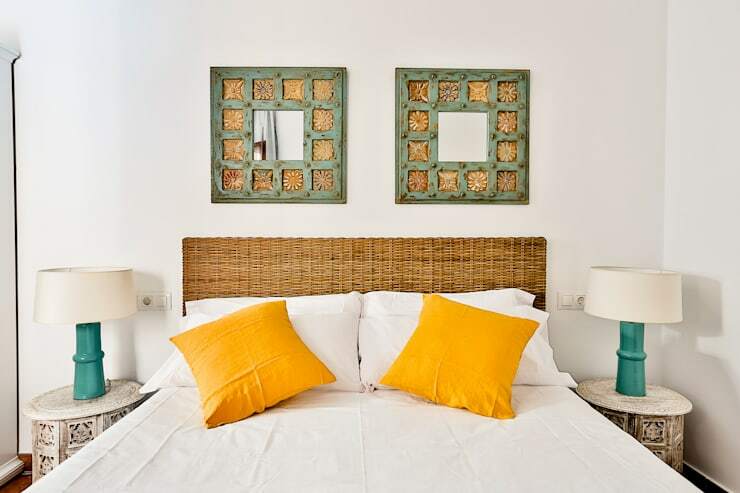 Use framed mirrors to brighten up a small room and make it look more expansive. Invest in quality wall arts or fine art paintings. You can procure these items from the local galleries, exhibitions as well as online stores. You may also collect artisanal works from your journeys across the world. Use your own skills to decorate the walls in style. Consider using a photograph taken by you to deck up the bedroom, living room or corridors. You may buy vintage posters to decorate the walls and give your home a retro feel. Check out these very interesting small home features.